Amalfi – the proudly Australian brand, which draws inspiration from art, fashion, nature and cultures both old and new to create the sorts of homewares you’ll be proud to display. 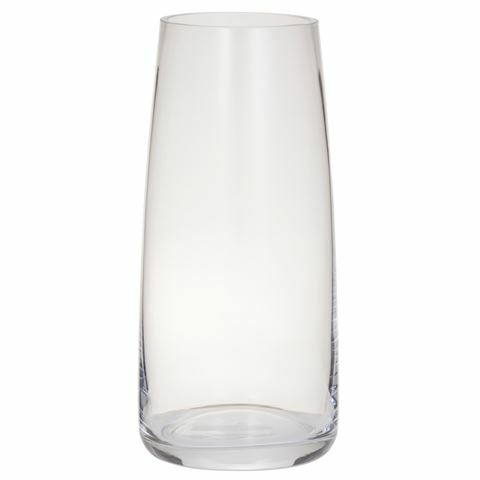 The Amelia Vase is elegant and simply timeless because it’s crafted from glass without embellishments. It’s there to showcase the flowers inside it and to stand tall. It’s poetic. This design will never go out of fashion and would look sublime with some long, exotic blooms. It also makes a charming, understated gift. To clean, simply hand wash in warm, soapy water. Recommended not to use abrasive materials. Presented in an attractive Amalfi gift box. Dimensions: 14cm (l) x 31cm (h).